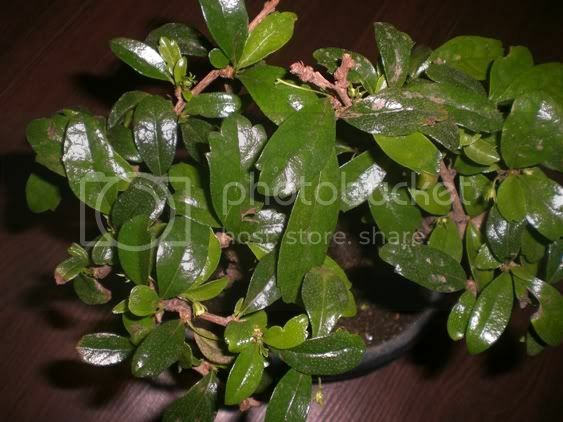 This is a Fukien Tea. And this is a Olive. Mine is called Delavay Osmanthus. I am not positive that yours is an Olive but the leaves look similar. 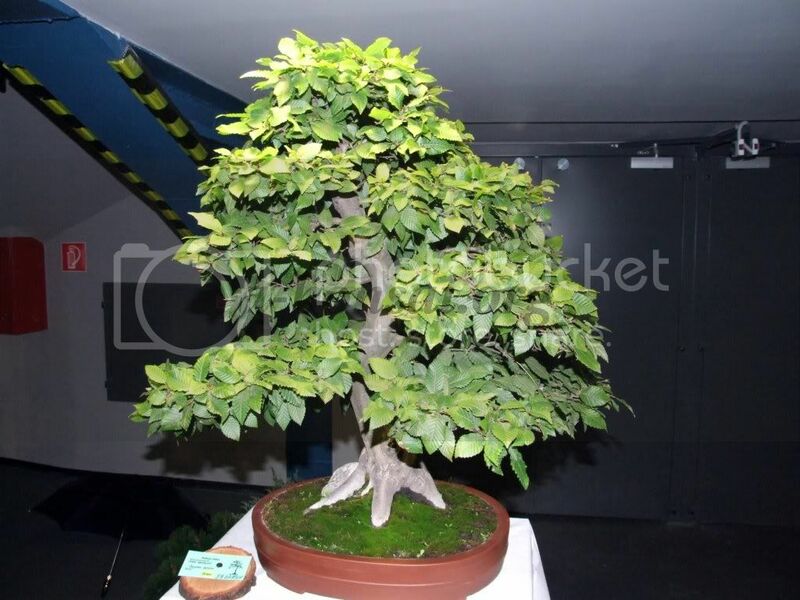 There are so many different spices of olive used in Bonsai it is hard to know for sure. Last edited by IndorBonsai on Wed May 06, 2009 8:51 pm, edited 1 time in total. For sure the top one is a Chinese Elm. As for the other one, not sure if its a Fuken Tea, but the other possibility I'm thinking of has the same requirements (not sure how to spell the scientific name, but its called something like the Bird Plum Tree). I would say Chinese Elm because a closer look at the branching of your tree. The branching of your tree is different looking than a Olive. Also your trunk looks more like a Chinese Elm. 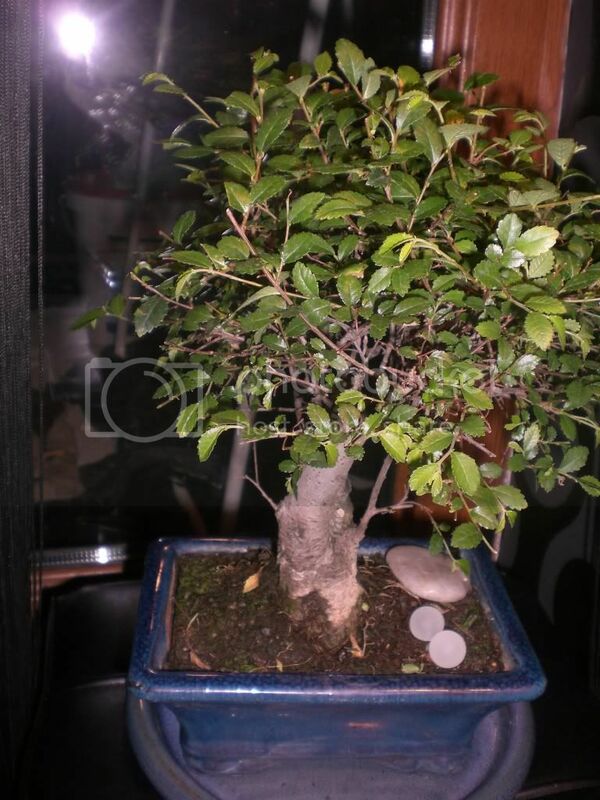 I'm fairly certain that you have a Fukien Tea and a Chinese Elm. I don't grow Fukiens but the notched leaves are distinctive. I do grow Chinese Elms and find them pretty easy to care for. 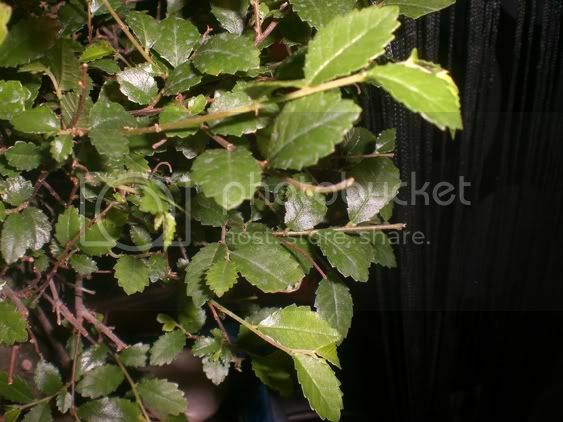 Regarding the re-potting of the Chinese Elm, it would help to know what your plans are as far as locating the tree. Are you going to keep it outside, allowing it to experience the change of seasons or try to manage it as an indoor tree? 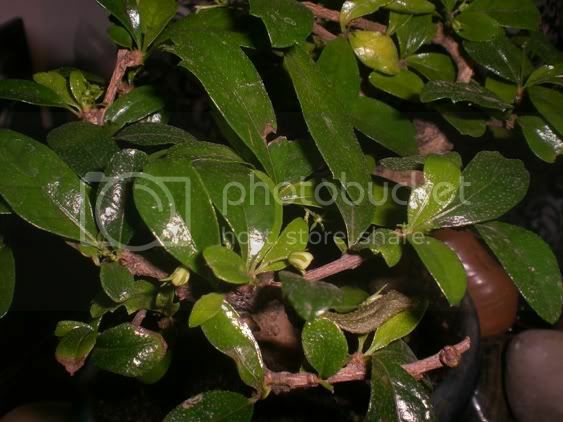 I believe mine is a Fukien Tea as well thanks to your photos. But mine is more twiggy with the same foliage. The photot is not that great, and now the poor tree does not even look like this it has lost most of its leaves. I doubt that your weather is too extreme for a Chinese Elm. If you want to keep it indoors make sure to provide very good lighting, either in the form of a bright window or supplemental lighting. Ideally you would re-pot the tree just as it was coming out of dormancy. Since you intend to keep it inside it won't experience dormancy as it would if kept outside. It is possible to do this work when the tree is in leaf, I just did one today in fact. Have you done this type of work before? Also I would be interested in seeing a picture of the soil you purchased as not all bonsai soils are of the same quality. 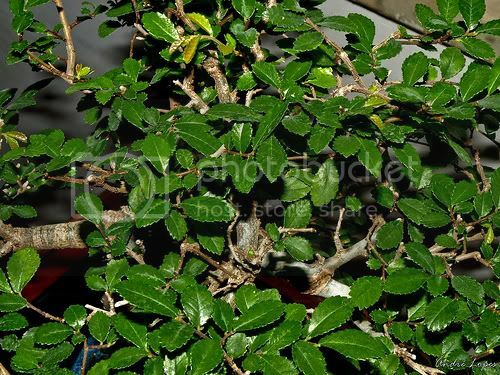 Bonsai Advice Watering care for chinese elm?